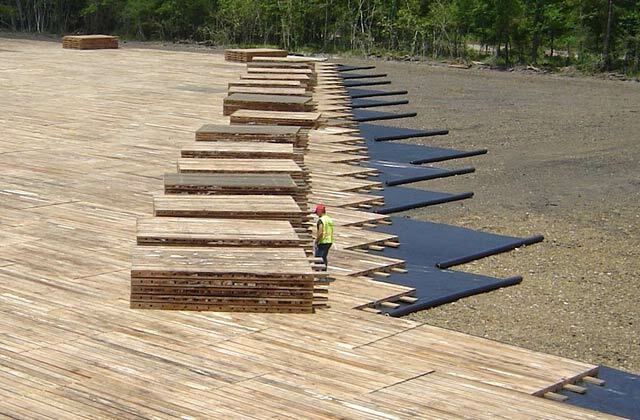 For 40 years, Quality Mat Company has been providing hardwood rental mats and used mats to the petrochemical, high-line utilities, oil and gas, and pipeline industries, as well as construction and environmental businesses. 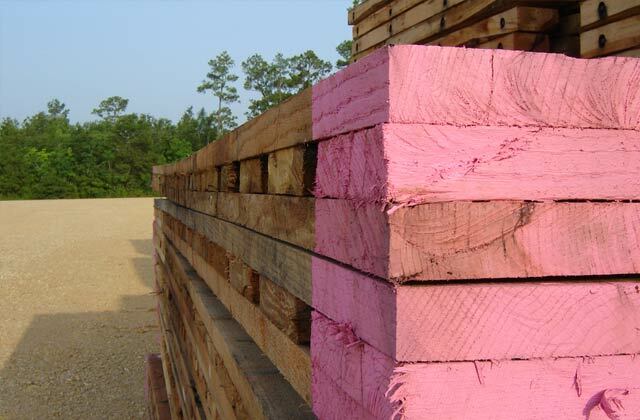 Our mats are built from a mix of American hardwoods and are constructed to ensure their ability to withstand harsh conditions. In fact, Quality Mat was the first to bring the concept of mat rental programs to these sectors. Today, we’re one of the largest producers of ground protection mats, as well as one of the oldest companies in the industry. We can help you determine the right size and type of mat that is best for your project, the quantity of mats needed, and schedule delivery to your jobsite. Quality Mat Company provides professional mat installation around the world. In fact, we’ve been providing installation for over 40 years and our professional team of operators can install thousands of mats per day! Daily, weekly, and monthly mat rentals are available. Once your job has ended, we arrange for the freight to return the rental mats to our yard, where they will be inspected, cleaned, and repaired if needed. And, QMC’s 40 years of proprietary manufacturing techniques, along with the highest-quality 100% hardwood materials reduces the likelihood of damage and repair charges which saves you money and gets the most life out of each rental mat. So rest easy, from shipping to installation, QMC has you covered for all of your mat rental needs. For mat rentals call us at (800) 227-8159 or click the button below. There are many different mat rental companies, but when you’re looking for the best there’s only one solution – Quality Mat Company. Crane Mat Rental: Also referred to as digging mats, timber mats, or boring mats – our crane mats are constructed of thick, hardwood timbers. 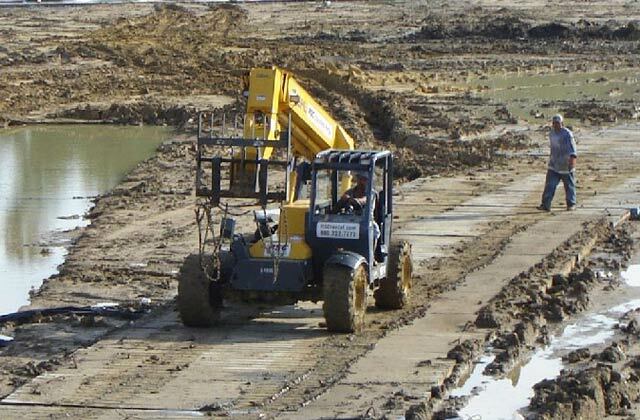 Crane mat rentals are typically used in the construction industry to provide ground stabilization for heavy machinery. 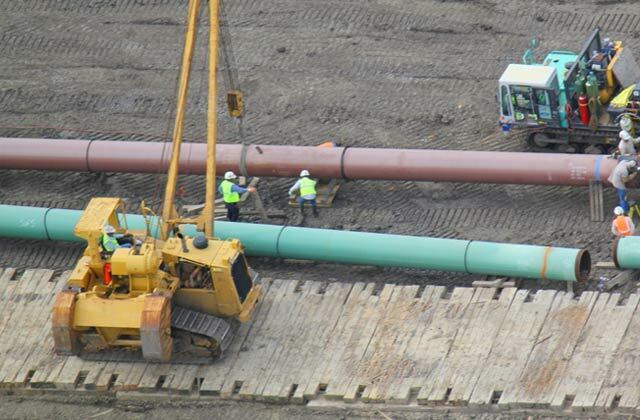 They can also be used in the construction of pipelines, bridges, disaster cleanup, and environmental cleanups. Oilfield Mat Rental: The most used mats for our oilfield customers are our patented interlocking mats, laminated mats, logging mats, and board road mats. These ground protection rental mats can be used in a number of industries, including gas drilling, construction, logging or forestry industry, housing development building, oil industry, environmental cleanup, and disaster relief. Interlocking mats can also be used for event parking, outdoor concerts, campgrounds, and more! Pipeline Mat Rental: Used in the pipeline industry, pipeline mats are designed using steel, a full contact treated wood interior, oak wood top, and an air wick channel bottom. The oak wood top stays above ground, while the steel is what sits and sinks into the ground. 3-Ply Laminated Mat Rental: Often referred to as swamp mats, road mats, access roads, or temporary roadways, our 3-ply laminated mats are strong, constructed using a 3-layer process of crossing 2” thick oak hardwood boards and securing the boards together using bolts or nails. Choose swamp mat rental mats when you need temporary roadways, platforms for digging, or access roads. Rig Mat Rentals: Constructed using independent wood sections and treated pine, and featuring reinforced lifting slots, our rig mat rentals can be used in a variety of formats. 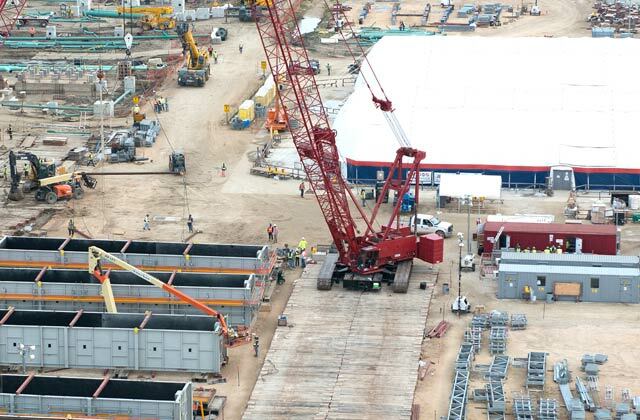 These mats provide a solid base for a variety of needs and applications, such as drilling rig sites, camp sites, construction sites, warehouse floors, pipeline applications, environmentally sensitive jobs, and more. QMC has you covered for all of your mat rental needs. For questions or to receive a quote on your next mat rental, call (800) 227-8159 toll free or email info@qmat.com.